This article is about the present-day train operating company. For the former company that existed from 1833 to 1948, see Great Western Railway. First Greater Western Limited, trading as Great Western Railway (GWR), is a British train operating company owned by FirstGroup that operates the Greater Western railway franchise. It manages 197 stations and its trains call at over 270. GWR operates long-distance inter-city services along the Great Western Main Line to and from South West England and South Wales, as well as the Night Riviera sleeper service between London and Penzance. It also provides commuter/outer-suburban services from its London terminus at Paddington to West London, the Thames Valley region including parts of Berkshire, parts of Buckinghamshire and Oxfordshire; and regional services throughout the West of England and South Wales to the South coast of England. GWR was due to begin operating the Heathrow Express service under a management contract on behalf of Heathrow Airport Holdings from August 2018; however this was later deferred to November 2018. The company began operating in February 1996 as Great Western Trains, as part of the privatisation of British Rail. In December 1998 it became First Great Western after FirstGroup bought out its partners' shares in Great Western Holdings. In April 2006, First Great Western, First Great Western Link and Wessex Trains were combined into the new Greater Western franchise and brought under the First Great Western brand. The company adopted its current name and a new livery in September 2015 to coincide with the start of an extended franchise that is due to run until April 2020. As part of the privatisation of British Rail, the Great Western InterCity franchise was awarded by the Director of Passenger Rail Franchising to Great Western Holdings in December 1995 and began operations on 4 February 1996. Great Western Holdings was owned by some former British Rail managers (51%), FirstBus (24.5%) and 3i (24.5%). In March 1998, FirstGroup bought out its partners' stakes to give it 100% ownership. In December 1998, the franchise was rebranded as First Great Western. On 1 April 2004, First Great Western Link commenced operating the Thames Trains franchise. It operated local train services from Paddington to Slough, Henley-on-Thames, Reading, Didcot, Oxford, Newbury, Bedwyn, Worcester, Hereford, Banbury and Stratford upon Avon. It also operated services from Reading to Gatwick Airport (via Guildford and Dorking), and from Reading to Basingstoke. On 1 April 2006, the Great Western, Great Western Link and Wessex Trains franchises were combined into a new Greater Western franchise. FirstGroup, National Express and Stagecoach were shortlisted to bid for this new franchise. On 13 December 2005, it was announced that FirstGroup had won the franchise. Originally, First planned to subdivide its services into three categories based on routes. Following feedback from staff and stakeholders, the decision was taken to re-brand and re-livery all services as 'First Great Western'. In May 2011, FirstGroup announced that it had decided not to take up the option to extend its franchise beyond the end of March 2013. FirstGroup stated that, in the light of the £1bn plan to electrify the Great Western route from London via Bristol to Cardiff, it wanted to try to negotiate a longer-term deal. CEO Tim O'Toole said: "We believe we are best placed to manage these projects and capture the benefits through a longer-term franchise." By not taking up the option to extend its original franchise contract for a further three years, FirstGroup avoided having to pay £826.6m to the government; it received extra subsidies totalling £133m from the government in 2010. In March 2012 Arriva, FirstGroup, National Express and Stagecoach were shortlisted to bid for the new franchise. The winner was expected to be announced in December 2012, with the new franchisee taking over in April 2013; however, it was announced in July 2012 that the franchise would be extended, due to the late issue of the Invitation to Tender (ITT). The ITT ran from the end of July until October 2012. The winner would have been announced in March 2013, and taken on the franchise from 21 July 2013 until the end of July 2028. The new franchise would include the introduction of new Intercity Express Trains, capacity enhancements and smart ticketing. The award of the franchise was again delayed in October 2012, while the Department for Transport reviewed the way rail franchises are awarded. In January 2013, the government announced that the current competition for the franchise had been terminated, and that FirstGroup's contract had been extended until October 2013. A two-year franchise extension until September 2015 was agreed in October 2013, and subsequently extended until March 2019. A further extension to April 2019 was granted in March 2015. The refurbishment of first class carriages in 2014 included interiors that featured a new GWR logo and no First branding. The whole company was rebranded as Great Western Railway (GWR) on 20 September 2015 and introduced a green livery in recognition of the former Great Western Railway. The new livery was introduced when HST interiors were refurbished, and on sleeper carriages and Class 57/6 locomotives. Great Western Railway is the primary train operator in Devon, Cornwall, Somerset, Bristol, Berkshire, Wiltshire, Gloucestershire and Oxfordshire. London Paddington to Cardiff Central and Swansea 2 Reading, Didcot Parkway (1tph, Cardiff trains), Swindon, Bristol Parkway, Newport and Cardiff Central. 1tph extends to Swansea calling at Bridgend, Port Talbot Parkway, Neath and Swansea. London Paddington to Bristol Temple Meads 2 Reading, Didcot Parkway (1tph off-peak), Swindon, Chippenham, Bath Spa and Bristol Temple Meads. Some services are extended to Weston-super-Mare and Taunton during peak periods, limited services are extended to Exeter St Davids, Paignton, Plymouth and Penzance. London Paddington to Plymouth and Penzance 1 Reading, Newbury, Pewsey, Westbury, Castle Cary, Taunton, Tiverton Parkway, Exeter St Davids, Newton Abbot, Totnes, Plymouth, Liskeard, Bodmin Parkway, Lostwithiel, Par, St Austell, Truro, Redruth, Camborne, Hayle, St Erth and Penzance. Services include the Cornish Riviera and Royal Duchy expresses, which run non-stop between Reading and Exeter. 17 to Worcester Slough, Reading, Didcot Parkway (3tpd Monday - Friday, 2tpd Saturday, All Services Sunday) Oxford, Hanborough, Charlbury, Kingham, Moreton-in-Marsh, Evesham, Worcester Shrub Hill, Worcester Foregate Street, Malvern Link, Great Malvern, Colwall, Ledbury and Hereford. Combe, Finstock and Ascott-under-Wychwood stations are served twice a day (once in each direction Monday-Friday). Additional direct services to Worcester Shrub Hill are available via Cheltenham Spa. 3 (Sun) Reading, Didcot Parkway, Swindon, Bristol Parkway, Newport, Cardiff Central, Bridgend, Port Talbot Parkway, Neath, Swansea, Llanelli, Pembrey & Burry Port and Carmarthen. Mon-Sat London bound train also calls at Ferryside and Kidwelly. Swansea to Carmarthen (Saturdays only) 1 Llanelli, Pembrey & Burry Port, Carmarthen. Swansea to Pembroke Dock (Summer Saturdays only) 1 (w/b only) Llanelli, Pembrey & Burry Port, Carmarthen, Whitland, Narberth, Kilgetty, Saundersfoot, Tenby, Penally, Manorbier, Lamphey, Pembroke and Pembroke Dock. 1 Reading, Pewsey (Sunday), Westbury, (Saturday), Castle Cary (Monday-Friday and Sunday), Taunton, Tiverton Parkway (Monday-Friday), Exeter St Davids, Newton Abbot (Monday-Friday and Sunday), Totnes (Monday-Friday and Sunday), Plymouth, Saltash (Monday-Friday), St Germans (Monday-Friday), Liskeard (Monday-Friday and Sunday), Bodmin Parkway (Monday-Friday and Sunday), Lostwithiel, Par and Newquay. 1 (w/b only) Saltash, St Germans, Liskeard, Bodmin Parkway, Par and Newquay. London Paddington to Paignton 6 Either via Bristol TM or Berks & Hants line. Then: Taunton, Tiverton Parkway, Exeter St Davids, Dawlish, Teignmouth, Newton Abbot, Torre, Torquay, Paignton. One service each way calls at Starcross and Exeter St Thomas, and then skips Tiverton Parkway. Other services in the summer also call at Dawlish Warren. Great Western Railway operates commuter services between London and destinations such as Slough, Greenford, Reading, Didcot, Oxford, Newbury, Bedwyn, Hereford, Worcester and Banbury. There are also services between Reading and Basingstoke; between Reading and Gatwick Airport via Guildford and Dorking Deepdene on the North Downs Line; and between Bristol and Cardiff via Newport. Trains also run on various north-south routes from Cardiff, Gloucester and Worcester to Taunton, Weymouth, Salisbury, Southampton, Portsmouth and Brighton. Many of these run via Bristol. The company also runs trains on local routes including branch lines in Devon and Cornwall, such as the Looe, Newquay, Falmouth and St Ives branch lines in Cornwall; the Exmouth, Paignton and Barnstaple branch lines in Devon; and the Gunnislake branch line in Devon and Cornwall. Two trains out of three per 2 hours terminate at Avonmouth. All trains Bristol bound terminate at Bristol Temple Meads barring two services on a Sunday that terminate at Taunton. One train on Sunday forms Exeter St Davids - Avonmouth, another forms Taunton - Avonmouth and another runs Weston-super-Mare - Severn Beach. One train approximately every two hours is extended to/from Great Malvern (some of these services only run to/from Worcester). One train approximately every two hours is extended to Weymouth calling at Frome, Bruton Castle Cary, Yeovil Pen Mill, Thornford, Yetminster, Chetnole, Maiden Newton, Dorchester West, Upwey and Weymouth. Southward bound, a few services terminate at Frome and one is extended to Brighton. Northward bound, services can start at Frome, Weymouth, Westbury, Warminster, Brighton, Salisbury and Southampton Central terminating at Cardiff Central, Bristol Temple Meads, Bristol Parkway, Cheltenham Spa, Great Malvern and Gloucester respectively. One train per day extended to/from Frome; trains also use the Golden Valley Line between Gloucester and Swindon on extensions - one morning service from Gloucester to Southampton as well as a service to Cheltenham Spa from Westbury and one evening service from Cheltenham Spa to Southampton and another Westbury to Cheltenham Spa. One train per day extends to Exeter St Davids, one to Paignton and one to Penzance. On Sundays, most trains start at Bristol Temple Meads and terminate at Taunton. At peak times, train stops at Bedminster and Parson Street additionally. Some services originate/terminate in Taunton, one per day originates in Exeter St Davids. Some services originate in Bristol Temple Meads when heading southward. On Sundays, this service doesn't exist. Instead there is a single Cheltenham Spa - Taunton service and a single Worcester Shrub Hill - Taunton service and a return Taunton - Bristol Parkway train. Limited service at Patchway, Keynsham, Oldfield Park and Dilton Marsh. On Sundays Keynsham and Oldfield Park are regular stops for most trains. This service alternates with a London - Cheltenham express service to give hourly service between Swindon and Cheltenham. During summer, local services are cut on certain days which are replaced by expresses to and from London which run non-stop between Par and Newquay. 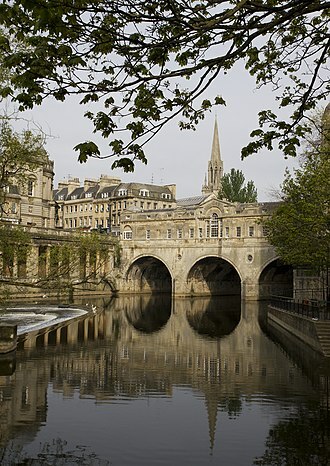 The Cheltenham Spa Express London Paddington Cheltenham Spa None. The Golden Hind Penzance London Paddington Westbound service additionally calls at Newbury and Totnes. Pullman Restaurant available (Mon-Fri) 06:53 Plymouth to Paddington serving Breakfast, 18:03 Paddington to Penzance serving Dinner. Great Western Railway is the only major UK rail operator with restaurant cars. These operate on certain West Country and Wales trains to/from London Paddington and are available to First Class and Standard Class passengers, though only First Class passengers may make advance reservations and have priority over seats in the restaurant. Meals in the restaurant car are not included in the price of rail tickets. GWR has First Class on all its long distance high speed services. First Class on the IETs includes fabric upright seating with tables at every seat as well as an at-seat service provided by a customer host, on most journeys. Unlike the previous HSTs, the IETs do not have leather first class seating due to fire regulations. Alike the HSTs, there are plug sockets and USB charging points at every seat. There is upgraded WiFi throughout the First Class carriages. Standard Class is provided on all services. On the HSTs, coach C is the disabled accessible coach and coach A is the quiet coach. Coach F is also a non-reservation coach. Coach A also includes bicycle spaces as well as the train manager's office. On the 5 coach IETs, first class coach E is the disabled accessible coach with no disabled accessible space in standard class. Alike the HSTs, coach A is the quiet coach. Coach B includes bicycle spaces. On the 9 coach IETs, coach A is the disabled accessible coach as well as the quiet coach. Coaches B and J include bicycle spaces. On the 10 coach IETs, first class coaches E and L are the disabled accessible coaches with no disabled accessible space in standard class. Coach A and G are the quiet coaches. Coach B and H include bicycle spaces. There is an at-seat trolley service on-board all IET services, with 2 trolleys on a 10 coach train in each portion. This is different from the previous HSTs, which had express cafes. In 2004–2005, 79.6% of trains arrived on time (defined as within 10 minutes of their scheduled arrival time). On 22 December 2006, the First Great Western InterCity service was declared the worst in Britain for delays, according to figures from the Office of Rail Regulation, with more than one in four trains running late. First was also the only train company to achieve a year-on-year fall in performance results. First Great Western admitted to misreporting the number of cancellations in the period from August to December 2007, revised figures showing the company to have breached the cancellation threshold in the franchise contract. Specifically the company was alleged to have deliberately cancelled trains on the day prior to service without the prior approval of the Department for Transport, and without recording these cancellations on their performance figures. The company was also accused of falsifying records in order to claim dispensation for large numbers of cancellations. First Great Western was named in a Passenger Focus survey as the worst train operating company for 2007. On 6 September 2007 FirstGroup announced changes to its management structure, apparently designed to strengthen the First Great Western commuter services. Anthony Smith, head of the rail users council Passenger Focus commented, "A fresh management approach is welcome. Clearly, looking at the passenger satisfaction scores for First Great Western, the train company and Network Rail have a lot to do. However, passengers will believe it when they see improvements." GWR has some of the most overcrowded services on the network. Here, passengers at Bristol Temple Meads crowd on to a service for Cardiff Central. Some delays are attributable to Network Rail rather than the operator, as the Office of Rail Regulation (ORR) found in September 2007, when it remarked that the First Great Western service continued "to suffer from very high levels of delays attributed to Network Rail" and described Network Rail's performance as "exceptionally disappointing". By 2009, passenger satisfaction with First Great Western was described by Passenger Focus as having "significantly improved". The company is no longer the worst-performing UK rail operator, a title which it held for a long period. However, the Which? survey of rail passengers published in February 2013 showed the company scoring lowest of the larger operators with less than 40% satisfaction (Virgin, which topped the poll, managed 67%). The latest punctuality statistics to be released by Network Rail for period 7 of 2013/2014 were 89.3% PPM (Public Performance Measure) and a MAA (Moving Annual Average) of 88.8% for the 12 months up to 12 October 2013. In February 2008 the Secretary of State for Transport stated that FGW had "fallen persistently short of customers' expectations and been unacceptable to both passengers and government". She issued First Great Western with a Breach Notice for misreporting cancellations and a Remedial Plan Notice as a result of exceptionally high levels of cancellations and low passenger satisfaction. As part of the Remedial Plan Notice, First Great Western was required to achieve improvement milestones, to lease five more Class 150 units to allow three-car trains to be used on Portsmouth-Cardiff services, to undertake a much more extensive refurbishment of the Thames Turbo fleet, to offer 50% higher compensation for the duration of the franchise, to offer 500,000 more cheap tickets on off-peak services, and to improve station customer information systems. Failure to do this would result in FGW losing its franchise. FirstGroup's railway operating profit, meanwhile, was reported to have risen 10% in the six months to September 2007. By June 2009, FGW had transformed its performance to become one of the UK rail network's more punctual operators, recording 94.6% of trains arriving on time. In February 2010 FGW was named Train Operator of the Year at the national Rail Business awards. Presenting the award, judges said, "First Great Western provides an extensive network of commuter, regional, local and intercity trains. The systems they have put into place over the last two years have made a significant improvement to the service they now provide." However, in February 2015 First Great Western came 17th (out of 21) in Which? magazine's Best and worst UK train companies survey. Customers gave First Great Western a score of 47% (compared to the worst performing operator, Thameslink and Great Northern, with a score of 43%, and the best performing operator, Grand Central, with a score of 76%). First Great Western also scored 3/5 stars across five of six specific categories, apart from Value for money in which First Great Western scored 2/5 stars. First Great Western has been criticised for overcrowded trains, and in January 2007 commuters on the Bath-Bristol service staged a protest against overcrowding. Participants were issued with imitation tickets printed with "Ticket type: standing only", "Class: cattle truck", "Route: hell and back", "Price: up 12%". The company threatened protestors with criminal prosecution and fines of £5,000, but staff failed to enforce ticket requirements. Alison Forster, First Great Western's Managing Director at that time, apologised to customers. 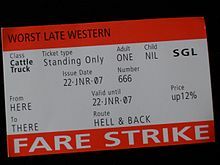 In January 2008 another fare strike was held as a passenger group said that not enough improvements have been made, despite First Great Western announcing that 2008 season tickets and car parking charges would be frozen until the end of the year. In August 2010 First Great Western was shown to have operated all of the top ten most overcrowded trains in England and Wales, mostly between Reading and London Paddington. By December 2011, this had reduced to two. In 2011 First Great Western was revealed to be the train company with the highest levels of overcrowding: an average of 16.6% of passengers were shown to standing during the morning and evening peak times. In 2012 it held the record for the most overcrowded train, carrying nearly twice its capacity, the 07:44 Henley-on-Thames to London Paddington. Paddington, the London terminus for many FGW services, was identified as the most overcrowded station. The company was also listed as the operator with the most passengers in excess of capacity in the south east region in 2012. In July 2018, a disabled woman was threatened by Great Western Railway staff with police action and removal from the train she was travelling in, for using a disabled space for her mobility scooter. Canadian-born comedian Tanyalee Davis, who has a form of dwarfism, said she was humiliated when a Great Western Railway guard made an announcement that she was "causing problems" which had delayed the train. The incident occurred after a woman travelling with a young child demanded that Davis make way for her pram. GWR said the incident should not have happened and “No one travelling with us should be left feeling like this". The pre-imminent arrival of the new Class 800 saw a series of strikes by the RMT union over who has the right to control the doors, First Great Western as it was known at the time, wanted to replace guards with driver-only operation (DOO), however following several discussions it was agreed to keep guards on all IET services. Another strike took place In early December 2016, amidst a background of ongoing rail strikes on a national level, the RMT ballotted Servest UK workers who were employed on an outsourcing contract to GWR as cleaners; the ballot passed in favour of strike action by 98%. A disruptive transfer period in the outsourcing contract, from Mitie to Servest UK, had resulted in what the RMT referred to as the creation of a "two-tier workforce" amongst cleaners at GWR, with an inequality in pay and working conditions between cleaners employed directly by GWR and those outsourced to Servest UK. Two 24-hour strikes were held between 0600–0600 on 16–17 December and 23–24 December, followed by a 48-hour strike between 0600 on 19 January and 0600 on 21 January 2017. Further industrial action was suspended by the RMT following the January strike as a result of an improvement in ongoing negotiations between the RMT, GWR and Servest UK. The dispute was formally resolved in July 2017 as RMT members voted in favour of accepting a new pay deal. Great Western Railway inherited a fleet of InterCity 125 sets (Class 43 power cars and Mark 3 Coaches) and Class 57 locomotives and Mark 3 sleeper coaches from BR. In 2006, it inherited a fleet of Class 165 and Class 166 units from First Great Western Link, and a fleet of Class 143, Class 150, Class 153 and Class 158 units from Wessex Trains. Most Great Western Railway intercity services are operated by a fleet of fifty-seven Class 800 trains, the first of which was introduced into passenger service on 16 October 2017. Teething problems surfaced on the inaugural service, with a leaking air conditioning unit leading to the service running late. GWR operates most of its long-distance services between London and destinations such as Swindon, Chippenham, Bath Spa, Bristol Temple Meads, Cardiff Central, Swansea, Carmarthen, Cheltenham Spa, Oxford, Worcester Shrub Hill and Hereford, using these trains, which gradually replaced the older Class 43 (HST)trains between Autumn 2017 and Spring 2019. Class 800s may also be used for services to Paignton and Plymouth, although the majority of services to far southwestern destinations are operated using Class 802 trains which have higher engine power to cope with the steeper gradients in the south west of the country. GWR operates most long-distance services between London and destinations in the west of the network (such as Paignton, Newquay, Plymouth and Penzance) using its fleet of thirty-six Class 802 trains, the first of which was introduced on 20 August 2018. These trains are almost identical to Great Western Railway’s fleet of Class 800 trains, the only key difference being that the Class 802 trains have a higher engine operating power – 700 kW (940 hp) per engine as opposed to 560 kW (750 hp) – and are fitted with larger fuel tanks to cope with the gradients and extended running in diesel mode on the long unelectrified stretches in Devon and Cornwall. Four Class 57/6 locomotives haul Night Riviera Sleeper services, and failed HST sets. When these are unavailable, GWR hires Direct Rail Services Class 57/3 locomotives to operate the Night Riviera. The Class 165 "Thames Turbo" is a two- or three-coach DMU used on shorter-distance services in the Thames Valley area, with the majority based at Reading Traction Maintenance Depot. They are mainly used on branches such as the Greenford branch line, Slough–Windsor & Eton line, Marlow branch line and Regatta Line. They are also used on services between Reading and Basingstoke/Newbury, Didcot Parkway and Oxford/Banbury and sometimes services between London and Bedwyn/Oxford. Some (eventually all) are based at St Philip's Marsh depot in Bristol, where they work on the most of the lines in the area including the Severn Beach line, Heart of Wessex Line, Golden Valley line and Bristol to Exeter line. From summer 2018, they are due to run on Cardiff Central to Portsmouth Harbour services too. In response to its Remedial Plan Notice, First Great Western undertook a more thorough refurbishment of the Thames Turbo fleet than originally planned: the trains were to be fitted with improved lighting, carpets, toilets, and a revised seating layout. This refurbishment started in September 2016. The Class 166 "Thames Express Turbo" is a three-coach DMU, similar to the Class 165 units but with an internal layout more suitable for longer-distance services. They are now mostly based at St Philip's Marsh depot in Bristol, where they currently work on the most of the lines in the area including the Severn Beach line, Heart of Wessex Line, Golden Valley line and Bristol to Taunton line. From summer 2018, they are due to run on Cardiff Central to Portsmouth Harbour services too. The Class 387 "Electrostar" is a four-coach EMU built by Bombardier, with a 2+2 seating layout, tables, plug-sockets and free WiFi. It can be operated in four, eight and twelve-coach formations. The class began to enter service in September 2016 on weekday peak services between London Paddington and Hayes & Harlington, using the overhead electrical equipment used by Heathrow Express. Services using the class were extended to Maidenhead in May 2017 and later to Didcot Parkway, and from Reading to Newbury. Bombardier Transportation will modify twelve of these trains by December 2019 at Ilford Depot, providing new first class seating, wi-fi, luggage racks and on-board entertainment to operate Heathrow Express services, replacing the existing Class 332. GWR’s Class 43 locomotives operate regional services from Cardiff and Bristol through to Penzance. Until 2017, GWR operated the vast majority of their long-distance services with fleet of 58 InterCity 125 sets. These sets consisted eight Mark 3 coaches between two Class 43 locomotives. GWR operated the largest InterCity 125 fleet, owning five sets outright; the rest were leased from Angel Trains and Porterbrook. From 2009 to 2012 all the company's intercity services were worked by HSTs except the Night Riviera sleeper service between London Paddington and Penzance, until Class 180s were reintroduced on the Cotswold line. These trains also worked all Intercity services from London to Bristol/Cardiff/Cheltenham/Swansea and Worcester, however from late 2017, the majority of these services gradually became operated by Class 800 IETs, although a few peak services remained operated by HSTs until early 2019. GWR continued to use HSTs on services to Exeter, Plymouth and Penzance until early 2019 when the majority were withdrawn in favour of Class 802 units, although a few full length eight carriage HSTs will continue work some services between London and the South West until 18 May 2019. GWR's High Speed Train fleet were refurbished by Bombardier in Derby and Ilford between 2006 and 2008, with leather seats introduced in First Class, redesigned toilets, a redesigned buffet, and at-seat power points. The company opted for mainly airline seats, giving more seats per train. After a successful trial by Angel Trains and FGW in 2004, two power cars received new MTU engines while two received new Paxman VP185s, fitted by Brush Traction of Loughborough. The MTU engine proved the better option, both for reliability and for emissions, resulting in FGW, Brush and Angel Trains starting the HST Modernisation programme. The last power cars to be re-engineered were released in April 2008, while several other companies' HSTs have now all undergone a similar programme. The youngest Class 43 locomotive dates from 1982, and the class is due to be replaced on some routes as part of the Intercity Express Programme by the Class 800 and Class 802 from 2017. These will be electric/diesel hybrids, introduced following the completion of electrification of the Great Western Main Line from Hayes & Harlington to the west of England in 2017. Following the Southall and Ladbroke Grove rail crashes, GWR requires its HSTs to have Automatic Train Protection and Automatic Warning System safety systems in operation. If either is faulty, the train is not used. Great Western Railway decided retain 24 powercars and 48 carriages to form 11 four-carriage sets for use on local services between Cardiff and Penzance. These are progressively being fitted with automatic doors and controlled emission toilets, to allow their operation beyond 2020, at Doncaster Works. As of April 2019, while the majority of full length HSTs have been withdrawn from Intercity services, short HST sets are progressively being rolled out on local services in the South West. This includes utilising unrefurbished slam door sets due to a delay in the sliding door sets. 143621 and 143620 near Dawlish after repainting in 2017. First Great Western inherited the small fleet of seven two-coach Class 143 Pacer railbuses from Wessex Trains following the franchise merger in April 2006. They are currently used on suburban services in and around Exeter. The Class 143 fleet was fully refurbished during 2008 and 2009, and painted in the same livery as the rest of the West of England fleet. Since they are unable to meet an accessibility requirement, they will be withdrawn at the end of 2019 unless they receive an extensive refurbishment proposed by Porterbrook (who own the class 143s and class 144s). The type is due to be replaced by Class 158 units, cascaded from the Bristol area. Some units have been repainted in the green GWR livery, without any interior refurbishment. The first unit repainted was 143603 in July 2017. In late 2011 the two original three-car prototype Class 150 Sprinter units (Nos. 150001 and 150002) were transferred from London Midland to work services on the Reading to Basingstoke Line, allowing the release of Class 165 and 166 units to reinforce other Thames Valley services. They were transferred to West of England services in 2017. Refurbished and GWR-liveried Class 150/2 150247 at Bristol St Philip's Marsh depot. The fleet of 17 two-coach Class 150 Sprinter units was inherited from Wessex Trains as part of the Greater Western franchise shuffle. The fleet had been refurbished by Wessex Trains in 2003, with 2+2 seating arranged in a mixture of 'airline' (face to back) and table seating. The fleet is widespread throughout the former Wessex area, and carried a maroon livery with advertising vinyls for South West Tourism. 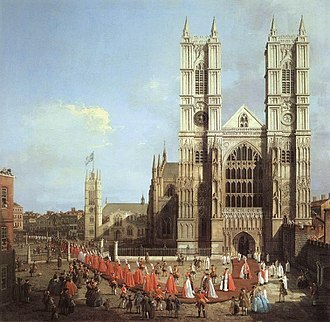 Each unit was sponsored by a district, town or attraction and carried a unique livery. Most received names of attractions, places and branch lines. Two units were repainted into the new First 'Local' livery, but all units are now due to receive the new green GWR livery. As part of a national fleet shuffle, eight units went to Arriva Trains Wales on 10 December 2006, and were replaced with 8 Class 158 units. First Great Western received five extra Class 150/2 units in May 2007 as part of its Remedial Plan Notice, to enable three-car Class 158 trains to operate on the Portsmouth-Cardiff services. Five Class 150 sets were hired from Arriva Trains Wales from March 2008 until they were returned in November 2010. All of Great Western Railway's Class 150/2s are now based at Exeter TMD. The Class 158 is a two- or three-coach DMU used on regional express services in the former Wessex Trains area. In February 2008, as part of its Remedial Plan Notice, First Great Western announced that it would form some hybrid 3-car Class 158 units in March 2008, made possible by the transfer of five Class 150/2 units from Arriva Trains Wales. There are now ten hybrid units in operation and, combined with the non-hybrid 3-car unit, this provides eleven 3-car units to operate services between Portsmouth and Cardiff, Great Malvern and Brighton, and Great Malvern and Weymouth. After the introduction of Class 150/1 trains from London Overground and London Midland, three of the remaining five 2-coach Class 158s will be reformed to provide two further 3-coach Class 158s. 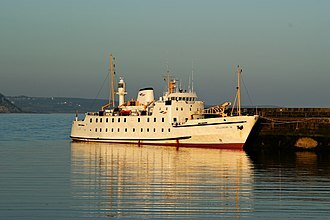 The fleet was refurbished in a programme begun in 2007, which included fitting of reupholstered seats, new lighting and floor coverings, CCTV within the passenger saloons, and refurbished toilets. At the same time, the exteriors of the vehicles were repainted in the updated FGW livery, including artwork depicting various local places of interest. GWR's Class 158 vehicles were refurbished at Wabtec in Doncaster. GWR also hires a Class 158 (or occasionally a Class 159) from South Western Railway on a daily basis to cover for stock shortages. The units are crewed by GWR staff and usually work on Bristol area routes in order they can easily return to their depot in Salisbury. In 2018 Class 158s will begin running alongside the first completed 'Short set HST' on services between Cardiff, Bristol, Taunton, Exeter, Plymouth and Penzance. Gradually as more 'Short set HSTs' enter service on the route, the Class 158s will move onto local and cross-county services in and around Exeter. ^ High Speed Trains are formed with a Class 43 power car at either end. They may run with fewer coaches when required. ^ Locomotive-hauled Mark 3 coaches are generally formed of 7-9 coaches for the Night Riviera. They are hauled by a single Class 57. In April 2018, GWR announced that they were procuring nineteen bi-mode dual voltage Class 769 units from Spring 2019 for use on Reading to Gatwick, Oxford and mainline suburban services to London Paddington to cover the loss of Class 387 units which will operate the Heathrow Express service. A former FGW motorail carriage, seen at Penzance. Locomotive-hauled trains were in use on services between Cardiff, Bristol, Taunton and Paignton from December 2008 until November 2010. These were Class 67 and Class 57 locomotives with Mark 2 coaching stock. They had one set of carriages initially, but a further set of carriages between December 2009 and October 2010. These services ran in the short term to cover for the unavailability of DMU trains. When sufficient DMUs were available following the transfer of 6 Class 150/1 sets from London Overground, the locomotives and coaching stock were withdrawn. First Great Western issued a tender in May 2013 so that locomotive-hauled trains, or other train formations, can be operated on the Taunton-Cardiff route again, starting in December 2013. This would cover for its DMUs while they are off for refurbishment on Monday-Friday diagrams. If locomotive-hauled trains were to be used again, they would start four years after the final trains from the previous diagrams ran. Twelve Class 142 Pacer DMUs were received by First Great Western in 2007, starting operations that December. These were loaned from Northern (where they had been stored), in part to cover for refurbishment of FGW's Sprinter fleets but also to allow the Class 158s to be reformed as three coach sets. They were based at Exeter TMD, working alongside the similar Class 143s on services in Devon and Cornwall, including the Avocet Line, Riviera Line and Tarka Line. Five 142s were returned to Northern Rail in late 2008, following the completion of the refresh of Class 150 Sprinter units. The remaining seven units were returned to Northern Rail by November 2011 as they had been replaced by Class 150 units cascaded from London Overground and London Midland following the arrival of new Class 172 Turbostar units. 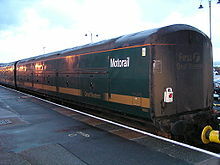 GWR's Night Riviera service also included the UK's last Motorail service, until that aspect was withdrawn at the end of the 2005 summer season due to low usage. First Great Western previously leased 14 Class 180 Adelante units, operating on the Great Western Main Line, but following technical issues they were transferred elsewhere. In 2012, five units were returned to First Great Western to operate weekday services on the Cotswold Line, allowing class 165 and 166 units to be reallocated to increase capacity on Thames Valley services. The Class 180s left GWR during 2017 to join Grand Central. The first left the fleet in June 2017; the last transferred in December that year. The 150/1s in the GWR fleet transferred to Northern in stages, beginning with the first three in August 2017 when their leases expired, and ending in April 2018. The rolling stock used on the Night Riviera sleeper service retained the original green and gold First Great Western livery until the stock forming these services was refurbished in 2007, when they were painted into 'dynamic lines' livery with vinyls advertising that the coaches operated the 'Night Riviera Sleeper'. When the Class 180 Adelante units were delivered, they were painted in the intercity version of FirstGroup's corporate livery. This consisted of a blue base, with purple and gold bars and large pink Fs. 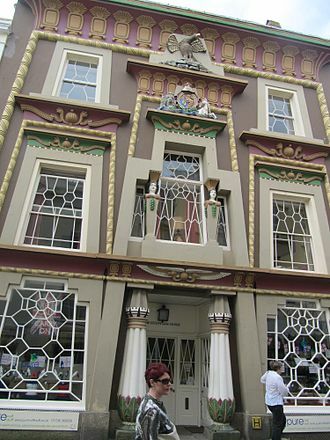 The doors were painted white to comply with the Disability Discrimination Act 1995. The HST fleet was repainted to match as they went through overhaul; however, the livery on the power cars has been altered, following problems with dirt build-up on the large white areas. The new Greater Western franchise involved repainting the HST fleet into FirstGroup's 'Dynamic Lines' livery for intercity and commuter services in the former First Great Western and First Great Western Link areas. The livery was initially applied to the HST fleet as they went through refurbishment, although the Class 180 units did not receive the new livery due to the termination of their lease. The commuter units also received the new livery while receiving standard maintenance, as a refurbishment was not originally planned. A second livery known as 'Local Lines' was applied to the DMU fleet, replacing the 'Dynamic Lines' with the names of local attractions forming a similar outline. The rebranding of the company as Great Western Railway introduced a new, dark green livery in September 2015, which will be rolled out across the fleet by 2018. Great Western Railway trains are based at eight depots. Other depots at Landore (Swansea) and Old Oak Common (London) closed in 2018. Channel 5 broadcast two television series looking into day-to-day challenges of the Great Western mainline, including events at Dawlish (as well as the sea wall destruction), Cheltenham race day and rugby at Cardiff. It was broadcast as "The Railway: First Great Western" and the last series aired in 2015. A similar series based on London Paddington started in September 2017 and covered events such as the reaction to the Manchester and London Bridge attacks, and several days of severe disruption. The franchise is due to end on 31 March 2020. In November 2017, the Department for Transport announced its intention to negotiate a further extension for the franchise until April 2022 with an option to extend for a further two years. ^ "First Greater Western Limited". Companies House. Retrieved 29 December 2017. ^ "Station information". First Great Western. Retrieved 6 November 2013. ^ a b "GWR to manage Heathrow Express service". Railway Gazette. 28 March 2018. Retrieved 4 April 2018. ^ "The passenger train". The Guardian. London. 20 September 1997. ^ Railway Organisations Research Paper 99/80 House of Commons Library 20 September 1999. ^ "Rail takeover to benefit passengers". BBC News. 6 March 1998. ^ Ramesh, Randeep (7 March 1998). "Rail bosses cash in on privatised gravy train". The Independent. London. ^ Annual Report 31 March 1999. FirstGroup plc. ^ "It's First Great Western". Rail. Peterborough. Issue 346. 16 December 1998. Page 7. ^ "New Rail Franchise Begins" (Press release). First Great Western. 1 April 2004. Archived from the original on 16 November 2008. Retrieved 24 July 2008. ^ "FirstGroup wins rail franchises". BBC News. 13 December 2005. ^ "Award of The Greater Western & Thameslink/Great Northern Franchises" (Press release). FirstGroup. 13 December 2005. Archived from the original on 20 December 2007. Retrieved 25 September 2007. ^ "First Great Western bids for longer rail franchise deal". BBC News. 11 May 2011. Retrieved 11 May 2011. ^ Milmo, Dan (13 March 2011). "FirstGroup may give up First Great Western franchise three years early". The Observer. London. Retrieved 18 November 2011. ^ Haigh, Philip (18 April 2012). "First leads a field of seven bidding for rail franchises". Rail. No. 694. Peterborough. pp. 8–9. ^ "Weston-super-Mare to London rail re-franchise concerns". BBC News. 10 August 2012. Retrieved 13 August 2012. ^ "Rail franchising future programme" (Press release). Department for Transport. 31 January 2013. ^ "First Great Western retains Wales and west rail franchise". BBC News. 3 October 2013. Retrieved 4 October 2013. ^ "First Great Western offered new franchise deal". BBC News. 10 October 2014. Retrieved 10 October 2014. ^ "FirstGroup wins Great Western contract extension". The Guardian. London. 10 October 2014. Retrieved 10 October 2014. ^ "FirstGroup's Great Western rail deal extended to 2019". BBC News. 23 March 2015. Retrieved 23 March 2015. ^ "First Great Western unveils refurbished first class carriages – Business Traveller". 28 May 2018. Archived from the original on 28 May 2018. Retrieved 28 May 2018. ^ Benke, Mike (23 March 2015). "First Great Western extend franchise until 2019 - largest train fleet upgrade in generation". Swindon Advertiser. Archived from the original on 2 April 2015. Retrieved 24 March 2015. ^ "First Great Western to become a thing of the past as Great Western Railway launched". Wiltshire Gazette & Herald. Trowbridge. 20 September 2015. ^ a b "First Great Western unveils rebranded Great Western Railway trains". BBC News. 21 September 2015. Retrieved 23 September 2015. ^ "London Paddington to Hereford Timetable (Great Western)" (PDF). Archived from the original (PDF) on 13 April 2016. ^ "Named services". Great Western Railway. Retrieved 6 December 2015. ^ a b c d "Great Western Railway Guide to train times 21 May to 31 December 2017, C1: London Paddington to Bristol, Cheltenham Spa and South Wales" (PDF). gwr.com. Archived from the original (PDF) on 4 August 2017. ^ Hargreaves, Clare (1 August 2014). "Restaurateur Mitch Tonks has given the Great Western Pullman dining car a makeover". The Independent. London. Retrieved 14 November 2015. ^ a b "First Class Train Travel and Tickets - Great Western Railway". gwr.com. ^ Clark, Rhodri (22 December 2006). "First Great Western's InterCity service the worst in UK with more than one in four trains late". Western Mail. Cardiff. ^ Milmo, Dan (26 February 2008). "First Great Western close to losing its franchise". The Guardian. London. Retrieved 24 July 2008. ^ "National Passenger Survey Autumn 2007" (PDF). Passenger Focus. January 2008. p. 14. Retrieved 9 August 2010. ^ Milmo, Dan (7 September 2007). "All change on the Great Western line". The Guardian. London. Retrieved 25 September 2007. ^ Osborne, Alistair (12 January 2007). "Network Rail on probation over First Great Western delays". The Daily Telegraph. London. Retrieved 24 July 2008. ^ "Official Statistics National Passenger Survey release". Passenger Focus. 2009. Retrieved 6 November 2013. ^ "Virgin trains top Which? train satisfaction survey for second year". Which?. 18 February 2013. Retrieved 6 November 2013. ^ "First Great Western Franchise" (Press release). Department for Transport. 26 February 2008. Archived from the original on 5 March 2008. Retrieved 26 March 2008. ^ "Train punctuality reaches new record high" (Press release). Network Rail. 22 June 2009. Archived from the original on 29 December 2014. Retrieved 24 June 2009. ^ "First Great Western voted train operator of the year". The Wiltshire Gazette and Herald. Trowbridge. 12 February 2010. Retrieved 5 November 2013. ^ "Best and worst UK train companies". which.co.uk. ^ Road, Office of Rail and. "Display Report - Office of Rail Regulation - National Rail Trends Portal". 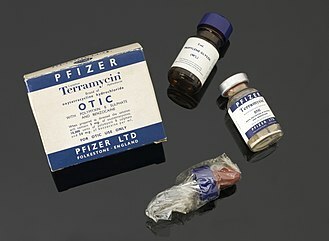 dataportal.orr.gov.uk. ^ "Passengers in rush-hour protest". BBC News. 22 January 2007. Retrieved 25 September 2007. ^ "Train company says sorry to users". BBC News. 24 January 2007. Retrieved 6 December 2015. ^ "Train operator sorry for service". BBC News. 22 January 2008. Retrieved 6 November 2013. ^ "Fare strikers target rail service". BBC News. 28 January 2008. Retrieved 6 November 2013. ^ a b Sedghi, Ami (12 August 2011). "Overcrowded trains: which are the most cramped journeys?". The Guardian datablog. London. Retrieved 6 December 2012. ^ a b "Most overcrowded train services: Figures reveal top 10". BBC News. 19 December 2012. Retrieved 27 December 2012. ^ "Rail overcrowding 'worsening' in London and South East". BBC News. 11 August 2011. ^ "London and south east overcrowding worsens". rail.co. 5 July 2012. Retrieved 6 December 2012. ^ "Disabled comedian 'humiliated' on train". BBC News. 17 July 2018. Retrieved 17 July 2018. ^ "Disabled comedian Tanyalee Davis rejects apology from Great Western Railway after 'humiliation'". ITV News. Retrieved 17 July 2018. ^ "Disabled woman 'humiliated by train guard' with announcement over tannoy". The Independent. Retrieved 17 July 2018. ^ "Rail strike to go ahead as talks fail". 21 August 2015 – via www.bbc.co.uk. ^ "RMT confirms strike action by cleaners on GWR - rmt". rmt.org.uk. ^ Anonymous (21 December 2016). "I'm a cleaner on GWR trains. We're striking because we're treated unfairly - Anonymous". the Guardian. ^ "GWR Servest cleaners striking for pay - rmt". rmt.org.uk. ^ "RMT prepared to suspend strike action - rmt". rmt.org.uk. ^ "RATES OF PAY & CONDITIONS OF SERVICE 2017 – GWR - rmt". rmt.org.uk. ^ Topham, Gwyn (16 October 2017). "Delays and drips mark Great Western Railway's new train launch". The Guardian. Retrieved 16 October 2017. ^ "Fault delays new high-speed train's first journey from Bristol to London". BBC News Online. Retrieved 17 October 2017. ^ Cite error: The named reference todaysrailways was invoked but never defined (see the help page). ^ "LOCO-HAULED FROM NEWQUAY: GWR Class 57". 13 July 2016. ^ "London & Thames Valley Refresh". First Great Western. 2008. Archived from the original on 14 November 2008. Retrieved 24 July 2008. ^ "Great Western electrification: London and Maidenhead link completed". BBC News. 22 May 2017. Retrieved 22 May 2017. ^ "New Electrostar Commuter Trains". Great Western Railway. Retrieved 4 January 2018. ^ Davy-Osborne, Stephen (4 October 2016). "GWR celebrates 40 years of HST". Swindon Advertiser. Retrieved 6 August 2017. ^ a b "Adelantes return to Great Western". Railnews. 24 July 2012. Retrieved 24 July 2012. ^ "Bombardier awarded £138 million". The Engineer. 7 June 2006. Retrieved 18 September 2012. ^ "MTU / HST Power Car Re-engineering Program". wnxx. Retrieved 24 July 2008. ^ "Modernising the Great Western route". Network Rail. Retrieved 14 November 2015. ^ "December 2004 magazine". Cardiff & Avonside Railway Society. December 2004. Retrieved 6 November 2013. ^ "September 2006". Cardiff & Avonside Railway Society. September 2006. Retrieved 6 November 2013. ^ "Wabtec Rail delivers '143'". Rail Magazine. 31 December 2008. Archived from the original on 4 September 2012. Retrieved 18 September 2012. ^ "Porterbrook unveils Pacer DMU life-extension demonstrator". Railway Gazette. 29 June 2015. Retrieved 7 June 2017. ^ Kelly, Jon (7 March 2016). "Pacers: The train that the UK has struggled to get rid of". BBC News. Retrieved 7 June 2017. ^ "Return of Adelantes to First Great Western confirmed". RailNews. Stevenage. 23 November 2011. Retrieved 23 November 2011. ^ "Class 158 Reformations, Customer Panel Meeting Minutes". First Great Western. 19 May 2010. Retrieved 9 November 2010. ^ "West Fleet Refurbishment". First Great Western. 2007. Archived from the original on 17 October 2007. Retrieved 14 February 2012. ^ "Preview of the first refurbished Class 158". TheRailwayCentre.com. 26 September 2007. Retrieved 6 October 2007. ^ Ashcroft, Esme (3 July 2017). "New 'turbo train' fleet arrives in Bristol". Bristol Post. Retrieved 9 August 2017. ^ Clinnick, Richard (30 August 2016). "GWR shows off the first of its new Class 387 EMUs". Rail. Peterborough. Retrieved 22 May 2017. ^ "Trains being modernised to add to Cornish services". Cornish Times. Liskeard. 26 March 2018. ^ "First Class 800 'Super Express Train' arrives in the UK". The Railway Magazine. Vol. 161 no. 1369. Horncastle, Lincs. 1 April 2015. pp. 6–7. ISSN 0033-8923. ^ "GWR runs first bi-mode IEP Class 800 to Paddington". Rail. Peterborough. 29 June 2016. ^ "GWR runs first bi-mode IEP Class 800 to Paddington". Rail. Peterborough. 30 June 2016. Retrieved 18 August 2016. ^ "New fleet of trains to bring better journeys to the south west" (Press release). Department for Transport. 30 July 2015. 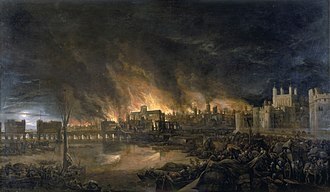 ^ "AT300 for the West of England". Hitachi Rail Europe. 2015. Retrieved 1 December 2015. ^ a b "Nineteen tri-mode Flex Class 769s for GWR". Rail. 19 April 2018. Retrieved 19 April 2018. ^ "Taunton Trains Loco-Hauled Info". Taunton Trains. 27 April 2011. Archived from the original on 12 October 2012. Retrieved 19 October 2012. ^ "FGW offers £7 million loco-hauled contract". The Railway Magazine. 28 May 2013. Archived from the original on 17 June 2013. Retrieved 12 August 2013. ^ "Adelantes return to Great Western". Railnews. 24 July 2012. Retrieved 12 April 2016. ^ "Wales loses new trains - again". Wales Online. 31 March 2013. Retrieved 12 April 2016. ^ "Grand Central 180 Fleet Update". North East Coastliners. 10 June 2017. Retrieved 24 August 2017. ^ "GWR Class 150/1's transfer to Northern Trains". Taunton Trains. 12 January 2018. Retrieved 17 January 2018. Great Western Railway Class 150/1s (which were originally inherited from Central Trains and Silverlink Trains) are now in the process of being transferred to Northern Trains. ^ "First Great Western rebrands its HSTs". Rail (Peterborough). Issue 360. 30 June 1999. p. 14. ^ "Great Western Railway". 125 group. Retrieved 26 August 2018. ^ Jonathon. "First Great Western 150249". Flickr. Retrieved 6 December 2015. ^ Holden, Michael (9 December 2018). "Farewell Old Oak Common TMD (1906 - 2018)". RailAdvent. Retrieved 4 February 2019. Heathrow Express is an airport rail link between London Heathrow Airport and Paddington. It opened in 1998 and is operated by the Heathrow Express Operating Company and it is an open access operator and not subject to franchising. Heathrow Express was planned as a joint venture between BAA and British Rail, but was taken over fully by the following the railways being privatised. The principal works were two 5-mile single-bore tunnels and underground stations at Heathrow Central and Terminal 4, electrification of the Great Western Main Line between Paddington and Airport Junction, where the new line diverged from the GWML, was required. 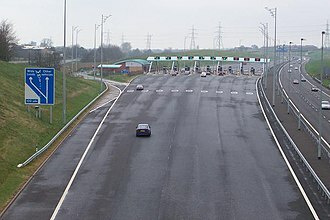 A flying junction known as Stockley Flyover was constructed to connect the tunnel to the GWML fast lines, beginning in January 1998, an interim service called Heathrow FastTrain ran to a temporary station called Heathrow Junction, where a coach took passengers the rest of the way. The full service began on 23 June 1998, with four trains per hour running in each direction, in 2005, a service called Heathrow Connect was started, operating a twice-hourly stopping service along the route using Class 360 Desiro EMUs. In 2008, Heathrow Express was diverted to serve the new Terminal 5 in lieu of Terminal 4, the company employs 435 staff, 90% of whom work on trains or stations, and 72 of whom are train drivers. Heathrow Airport Holdings have an agreement with Network Rail until 2023 for access paths on the GWML, trains depart Paddington every 15 minutes from 05.10 until 23.25, and there is a similar quarter-hourly service in the return direction. At Paddington they use dedicated platforms 6 and 7, although on other platforms are used. There are two stops at Heathrow, Heathrow Central, serving Terminals 1,2 and 3, until the opening of Terminal 5 on 27 March 2008, Heathrow Express terminated at Heathrow Terminal 4, this is now served by the Heathrow Express shuttle from Heathrow Central. The service uses Class 332 electric multiple units built by CAF/Siemens and these incorporate video monitors and the ability to use mobile phones throughout the journey, even in tunnels. The monitors are used for advertising and for news and weather updates produced by BBC World News. Heathrow Express has been well received, not least because steps were taken to reduce the environmental impact. As of Summer 2013, all units have undergone a complete refurbishment inside and out including new seating configurations, luggage storage, Express Saver and Business First tickets are valid within 3 months of date of travel and return journey valid within 1 month of outbound journey. 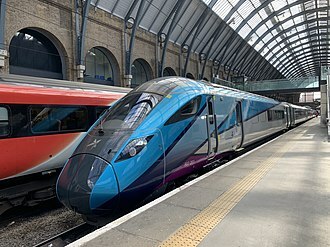 Standard class travel between Heathrow stations is free, there is a stopping service, Heathrow Connect, which takes the same route but using the slower relief lines, on which significantly lower fares are charged. This takes approximately 15 minutes longer than Heathrow Express, but offers connections to the London Underground Central, Airport workers can get a discount through the Airport Commuter scheme operated by Heathrow Airport Holdings. Performance for the first quarter of the 2013 financial year was 94. 0% PPM, the service runs along Network Rails Great Western Main Line from Paddington to Airport Junction. Reading railway station is a major transport hub in Reading, England. On the northern edge of the centre, near the main retail and commercial areas. Reading is the ninth-busiest station in the UK outside London, Reading is one of 19 stations managed by Network Rail. The station is served by three train operating companies, Great Western Railway, CrossCountry and South West Trains, the first Reading station was opened on 30 March 1840 as the temporary western terminus of the original line of the Great Western Railway. The time taken to travel from London to Reading was reduced to one hour and five minutes, the line was extended to its intended terminus at Bristol in 1841. In 1844, the Great Western Hotel, was opened across the Forbury Road for people visiting the town and it is thought to be the oldest surviving railway hotel in the world. New routes soon joined the London to Bristol line, with the line from Reading to Newbury and Hungerford opening in 1847, in 1860, a new station building, in Bath Stone and incorporating a tower and clock, was constructed for the Great Western Railway. In 1898 the single sided station was replaced by a design with up, down. Access to the station from Broad Street was not direct, until Queen Victoria Street was built in 1903 and this provided a route through to Friar Street and Station Road. The station was originally named Reading and became Reading General on 26 September 1949 to distinguish it from the ex-South Eastern Railway station nearby, the General suffix was dropped from British Rail timetables in 1973, but some of the station nameboards still stated Reading General in 1974. From 6 September 1965, services from the former Reading Southern station were diverted into a newly constructed terminal platform in the General station. At the same time a new station car park was built on the site of the former goods yard and signal works to the north of the station. 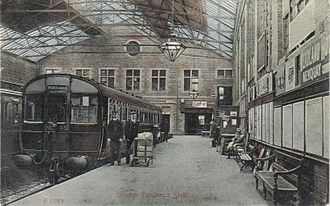 The station facilities in the 1860 station building were converted into The Three Guineas public house, the Queen reopened the station on 4 April 1989. By 2007, the station had become a bottleneck on the railway network. The British Rail Class 165 Turbo is a fleet of suburban diesel multiple units, originally specified by and built for the British Rail Thames and Chiltern Division of Network SouthEast. They were built by BREL York Works between 1990 and 1992, the trains were originally known as Network Turbos. An express version was built in the form of the Class 166 Turbo Express trains. Both classes are now referred to as Networkers, a name which was derived some three years for the project that resulted in the visually similar Class 465 EMUs. The class is still in service, and is now operated by Great Western Railway on services out of London Paddington station, the fleet is wide-bodied to take advantage of the loading gauges of the former Great Western Railway and Great Central Railway on whose lines it runs. Both have a 350 horsepower Perkins 2006-TWH diesel engine on each car, Voith Turbo-transmissions, when new, the units were branded as either Thames Turbo or Chiltern Turbo between the two first class windows of the DMCL carriage. This requires the Guard to return to a vacant cab at each station to carry out these duties, examples of this include Chiltern Railways services north of Banbury or Great Western Railway services on the Cotswolds and Reading to Gatwick lines. Thirty-nine Class 165/0 Turbo trains were built in 1990-91, in two batches, for the Chiltern subdivision of Network SouthEast, numbered 165001-039, both 2-car and 3-car variants were built. Initially, thirty-three units were ordered but an order was placed for a further six units. Units 165001-028 were delivered consecutively, as 2-car units, whilst units 165029-039 were delivered as 3-car units and these vehicles have a top speed of 75 mph. They are now all fitted with tripcocks for working over the London Underground lines between Amersham and Harrow-on-the-Hill, although upon delivery this equipment was fitted to 165006-028. Automatic Train Protection is fitted, making one of the few classes to have both these features in Britain. 165029-039 were temporarily allocated to the Thames line in 1992 and this was necessary as resignalling of Paddington station meant that Network SouthEast could no longer run locomotive-hauled trains to and from Paddington. The British Rail Class 150 Sprinter diesel multiple-units were built by BREL York from 1984 to 1987. A total of 137 units were produced in three subclasses, replacing many of the earlier first-generation Heritage DMUs. At the beginning of the 1980s, British Rail had a fleet of ageing Heritage DMUs built to many different designs in the late 1950s. Some of the more types were retained and refurbished. BR decided to replace many of the non-standard or unreliable types with new second-generation units, in 1984, BREL built two prototype 3-car Class 150/0 units, numbered 150001 and 150002. 150001 was fitted with Cummins engines and Voith hydraulic transmission, and 150002 was fitted with Perkins engines, the design specifications of the prototypes were similar to the production units, but they were to remain as the only Class 150s to be built as 3-car units. Additional three-car units were created by re-marshalling a 150/2 car in the middle of a 150/1 set, Both cab doors are air-operated unlike the Class 150/1 production model, but as seen on in the 150/2 variant. One car was fitted with the Class 151 Twin Disc hot-shift transmission which it used successfully once the control software was sorted out, to distinguish this unit it was reclassified as the Class 154. It has since returned to the standard configuration and reverted to its original number. Both prototypes were still in service with London Midland until 2011,150001 entered service with First Great Western in January 2012, with 150002 to follow after refurbishment and relivery. They are now used primarily on the Reading-Basingstoke line, with Both 150001 &150002 in the new Great Western Railway green livery, at the same time that BREL built the 150/0s, Metro-Cammell built two prototype Class 151 units at its Washwood Heath plant. The two types of unit were tested, with a view to placing further orders for the more successful. In the event, the two Class 150 units proved to be reliable, and as a result an order for 50 two-car units was placed with BREL. This second batch of fifty units were classified as Class 150/1, like the prototype units, they did not have front-end gangway connections. The sleeping car or sleeper is a railway passenger car that can accommodate all its passengers in beds of one kind or another, primarily for the purpose of making nighttime travel more restful. The first such cars saw use on American railroads in the 1830s. Some of the more types have private rooms. The Cumberland Valley Railroad pioneered sleeping car service in the spring of 1839, with a car named Chambersburg, a couple of years a second car, the Carlisle, was introduced into service. The man who made the sleeping car business profitable in the United States was George Pullman. Pullman cars were normally a dark Pullman green, although some were painted in the host railroads colors, the cars carried individual names, but usually did not carry visible numbers. Pullman-Standard continued manufacturing sleeping cars and other passenger and freight cars until 1980. One unanticipated consequence of the rise of Pullman cars in the US in the 19th and early 20th centuries was their effect on civil rights, each Pullman car was staffed by a uniformed porter. The majority of Pullman Porters were African Americans, the pullman attendants, regardless of their true name, were traditionally referred to as George by the travelers, the name of the companys founder, George Pullman. The Pullman company was the largest employer of African Americans in the United States, railway porters fought for political recognition and were eventually unionized. Their union, the Brotherhood of Sleeping Car Porters, became an important source of strength for the burgeoning Civil Rights Movement in the early 20th century, notably under the leadership of A. Because they moved about the country, Pullman porters became an important means of communication for news, the African-American newspaper, the Chicago Defender, gained a national circulation in this way. Porters used to re-sell phonograph records bought in the metropolitan centres, greatly adding to the distribution of jazz and blues. From the 19th to the century, the most common type of sleeping car accommodation on North American trains was the open section. A Class 165 in First Great Western Link livery on the Marlow Branch Line. 165132 arrives into Gloucester on 14 July 2018 with a Swindon to Cheltenham Spa service. In preparation for the service between Cardiff and Portsmouth, the coaches have been lettered D and E (pictured) for reservations. 166217 in Thames Trains livery with First Great Western Link branding. Gatwick Express Class 387/2 No. 387204 at Crewe. Looking the other way, from the western end of Platform 5. This view clearly shows the difference between the original GWR-pattern platform canopy (Platforms 4, 3, 2, right) and the modern (1960s) extension on Platform 5 (left) that was installed when the centre track (between the relief lines) was removed and the station remodelled.